The “Love Autism Health” Amor Heart Locket - Autism Health! Each necklace comes in a blue velvet bag with drawstring. 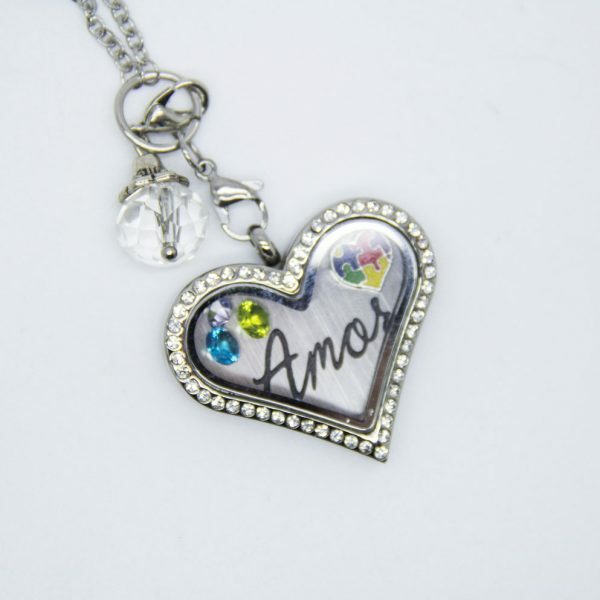 Customers can add their own plate and charms to change up the look. 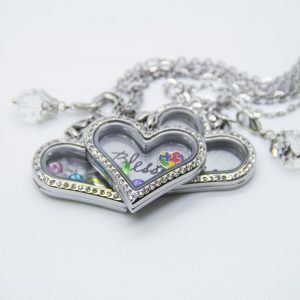 *All lockets only available while quantities last.